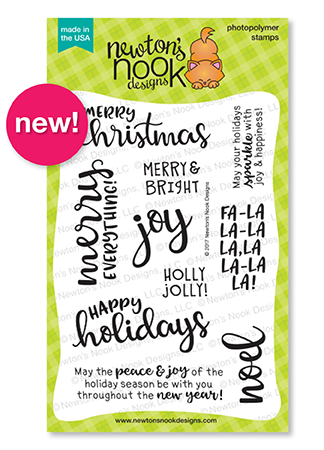 Welcome to day 1 of the Holiday Release from Newton’s Nook Designs. I love holiday cards. Love them! They are some of my favorites to make and this week’s release is full of amazing products to use. I can hardly wait for you to see everything! 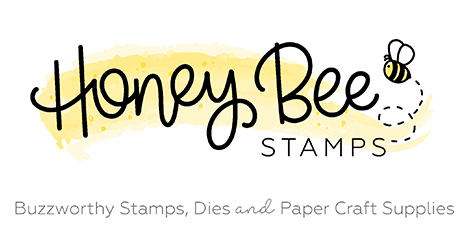 We are starting off with two stamp sets and two stencils. Yes, I said starting off. Oh wow!! 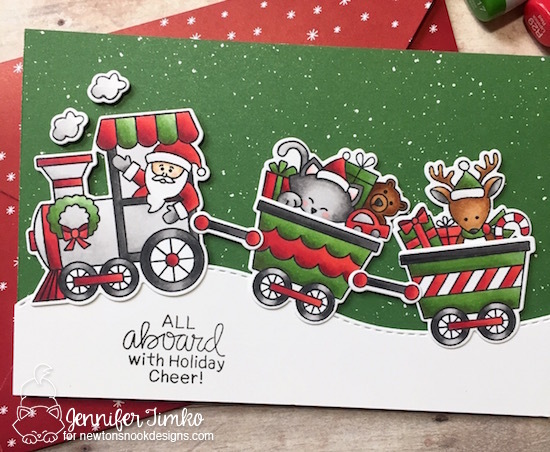 The first set I get to show you today is called All Aboard For Christmas. It honestly does not get cuter than this! I just love how these little train cards can be mixed with the adorable contents to create fun combinations. I chose Santa’s train and then filled the cars with Newton and his reindeer friend. At first I was only going to do one car but I just could not stop coloring. So instead, I made a card that is 6″ x 4″ to accommodate the larger train. 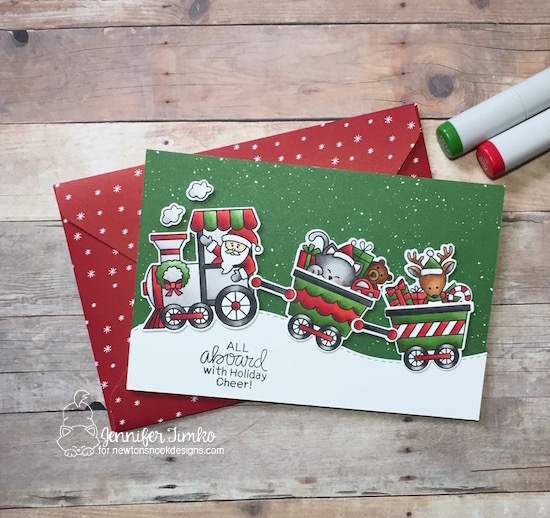 I chose my colors based on this designer paper from Stampin’ Up in classic Christmas colors so that I could make a coordinating envelope with my Envelope Punch Board for this non-standard card. And I didn’t have to leave off anything! Want to see the coloring closer? If you love to color like I do, this is going to be a must have set. But this is only the beginning of the release. Because there is a fantastic sentiment set called Sentiments of the Season that is full of perfect outside and inside words for all your holiday cards. I am a sentiment hoarder (especially holiday ones) and this set made me jump for joy! Just look at that pretty handwritten style on the Merry Christmas. Awesome! 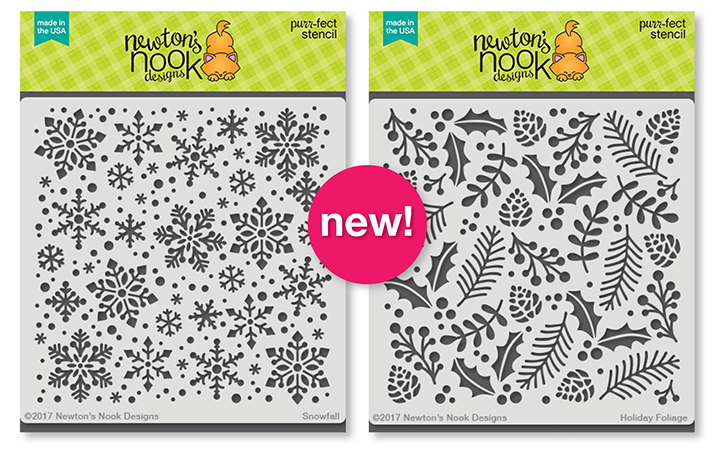 And the snowflakes, why yes you do spy one of the two new stencils. It is called Snowfall and it is great, don’t you think? I really wanted to show off the details of this stencil so I played around with a new to me product called Nuvo Gilding Flakes. 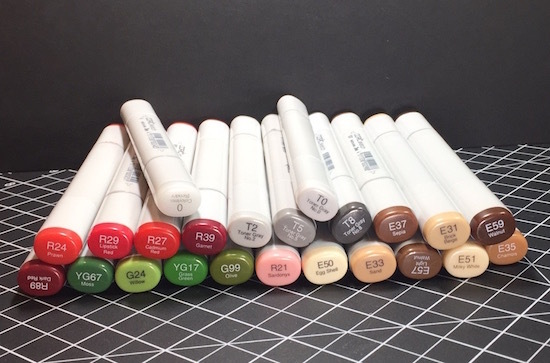 They are pretty fun and I found that I could use them with my Tombow Multipurpose Adhesive. Super exciting for me to figure that out!! Want to see how I did it? I made a short video. I stamped the sentiment in Versamark ink and embossed it using gold embossing powder and I love how the two gold techniques coordinate. There is such a pretty patina that comes from the gilding flakes and I think they really show off all the details of the stencil. 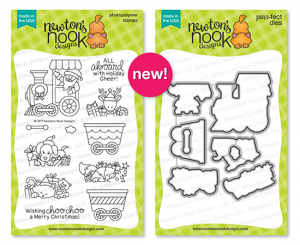 There is an additional stencil that is amazing for the holidays too. With all the ways stencils can be used, they are such a great investment! So wow. This is day 1. I told you it was going to be quite a week, didn’t I?! I hope you’ll go visit the rest of the design team because their work today is extraordinary! Oh, and of course you have a chance to win. 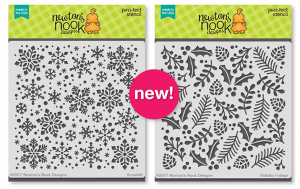 Because Newton’s Nook Designs is awesome like that! Great technique! Thanks for sharing. Love the card you’ve made! It’s amazing how different everyone has colored the train. Beautifully different. card is awesome & would be great to mass produce if needed. WOW! I want to CASE EVVVVERYTHING you’ve made! I never would have thought to use a green background behind the cute new train, but it looks FANTASTIC especially with the snow you added! 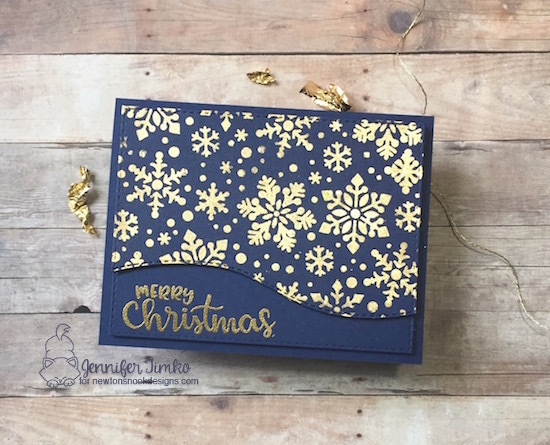 And thank you so much for including a video of how you used the stencil with the guilding flakes – that card is so elegant and classy – perfect for my husband’s colleagues! Thank you for all of the beautiful inspiration! 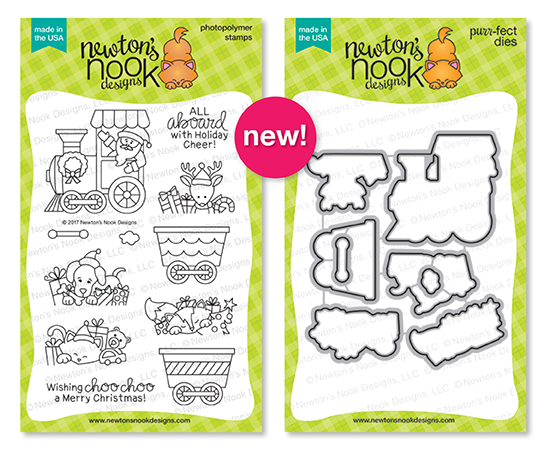 These new goodies from Newton’s Nook look fantastic!!! And your sample cards are awesome! Thanks so much for the video showing how you used the gilding flakes. I’ve never seen those in action before and WOW they are gorgeous!!! These are awesome! I love the traditional red and green on the train with the green sky! So Pretty! That snowflake card is amazing too! I’m off to check out the video! Thanks for the awesome inspiration! I love your fun holiday cards!!!! Love the gold snowflakes on the navy! Your cards are really perfect for Holidays! The second one is so classy !! Love the traditional colors of your first card! Just darling! Also loving the elegance of the second one! Awesome coloring on your train card, and elegant snowflake card! Love the gold snowflakes against a dark background! Oh that train! Love it! And the gilding flakes are so gorgeous with that stencil! Fabulous cards, love the coloring and traditional colors on the train card, that set is so fun. Your snowflake card is stunning!! Eeeeek, I love your train card! And the gold snowflakes are amazing! WOW, WOW and WOW again – These two cards are gorgeous and I am drooling over them. Definitely ones to Case !!!! Fabulous cards. Love the video on the gilded snowflakes. Thank you for including the video on how you made the background. I am not familiar with those flakes and it was great seeing how they get used. The end result is beautiful. Great coloring on your train card and love the background on your second card. I think it is so funny that you call yourself a sentiment hoarder!!! I too suffer from this affliction! & mostly Christmas ones!! 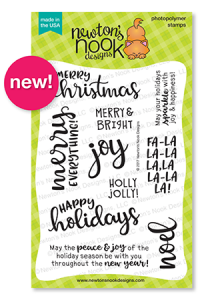 I LOVE the fun, energetic, playful fonts of the Sentiments of the Season set. The cute little train looks so fun to play with (over & over!!!) AND I really must thank you for the gilding idea. I’m curious, the flakes stick to the glue even after it dries? 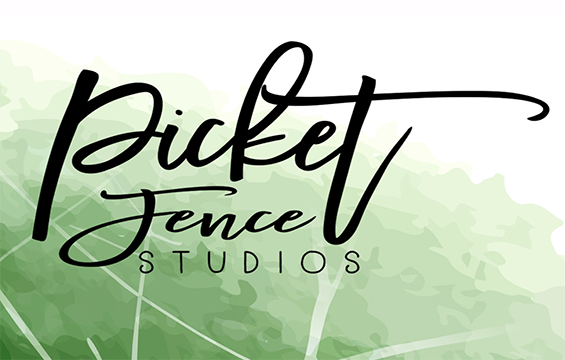 I really want to try this out – I’ve yet to use stencils but you all make me REALLY want to!!! Love both of these cards. Yours is my favorite of all of the great train cards! It has such a Christmas feel with the green and red and the white flecks. 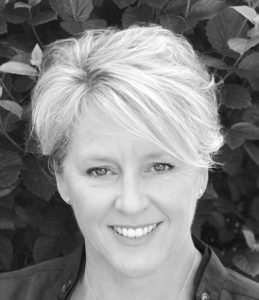 And your navy and gold snowflake card is so classy and sophisticated! Very nice! I love so much your golden snowflakes!